Renovation of a loft-like apartment in a converted 1920s factory building in the East Village, New York City. 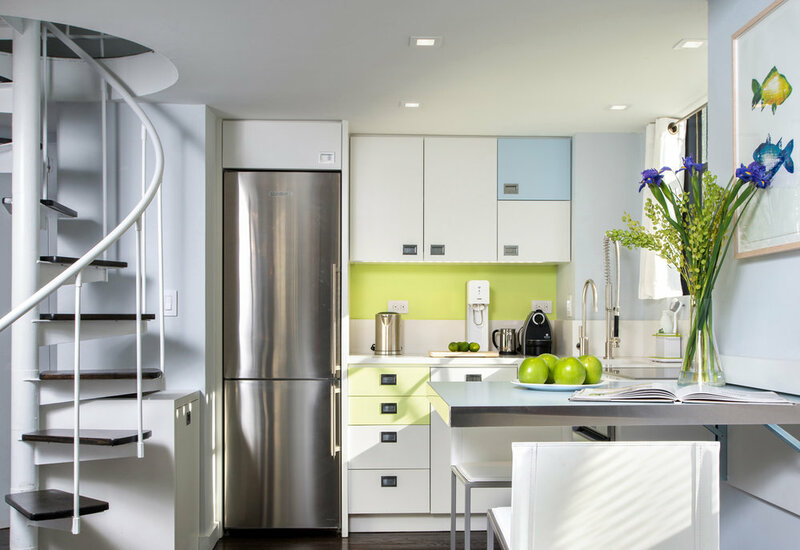 The color choices of grass green and light blue and the abundant natural light streaming in from the large steel-frame windows create an overall sense of freshness and lightness. Artificial lighting is all LED, and it complements the space's natural light and shades of color. 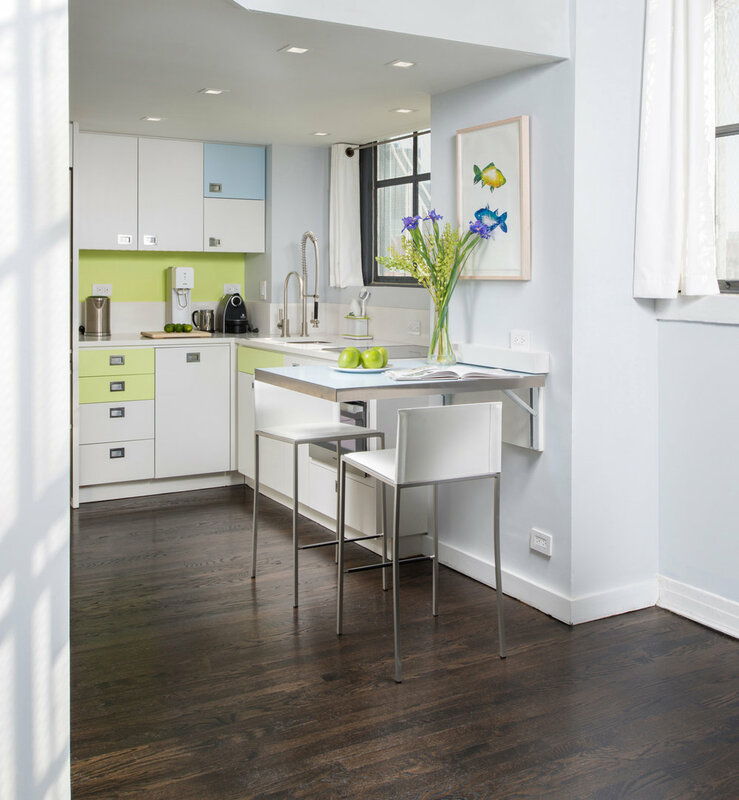 The result is a highly efficient and detailed design that exceeded the client's expectations - confirmation that in small New York apartments with typically very small kitchens and bathrooms, customized design and high-quality detailed work is certainly worth the effort. The bathroom wall niche incorporates a "floating" mirror and a stainless steel shelf. A linear pendant lights the vanity top. The linear LED lighting is concealed behind the vanity mirror.